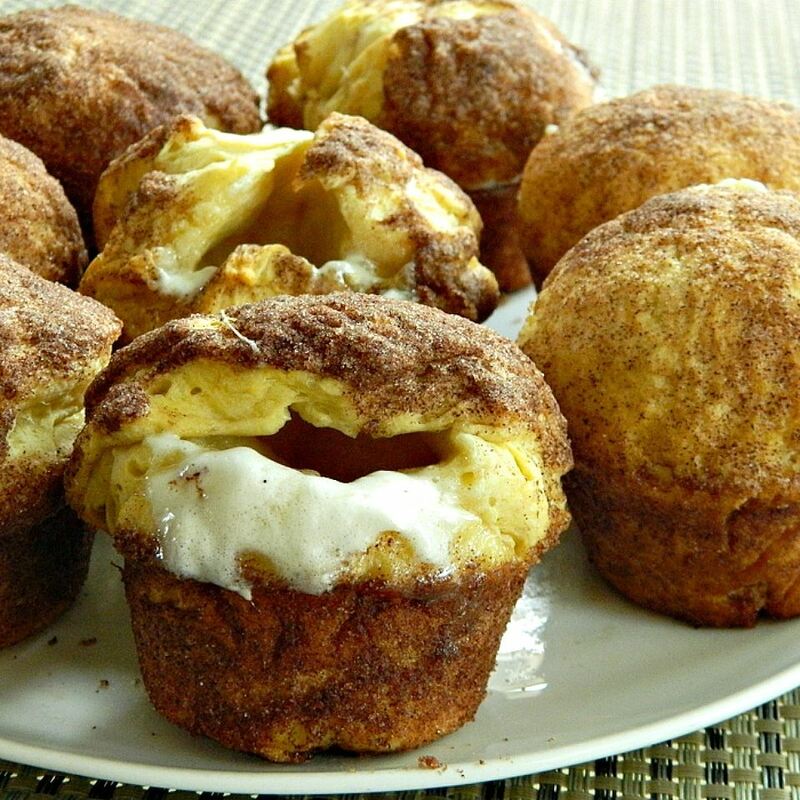 The first time I made these, I made a mess and they STILL turned out! They are gone in 2 days at my house. 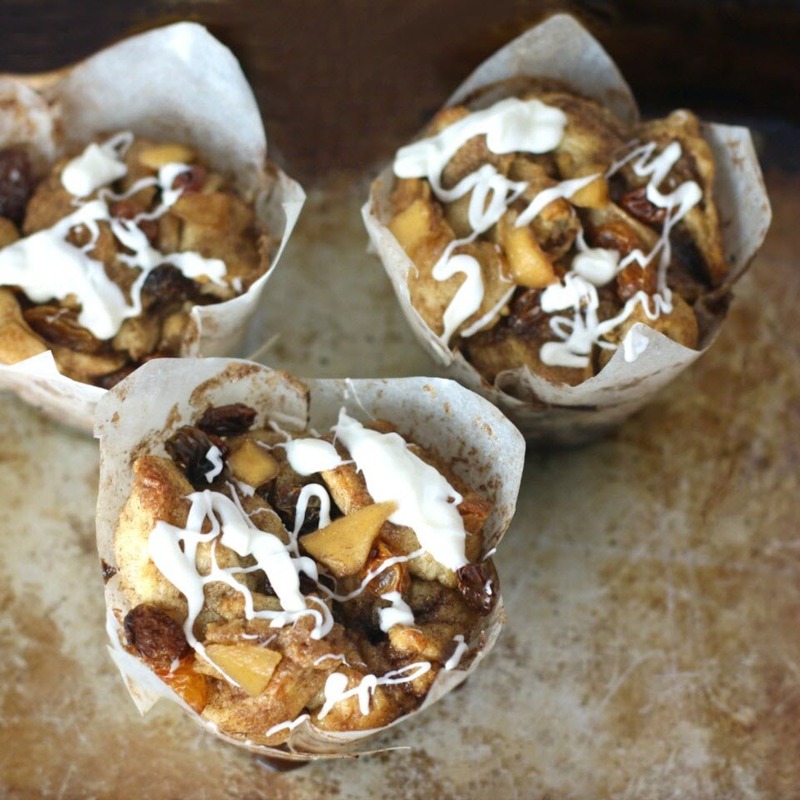 Simple to make and super yummy. 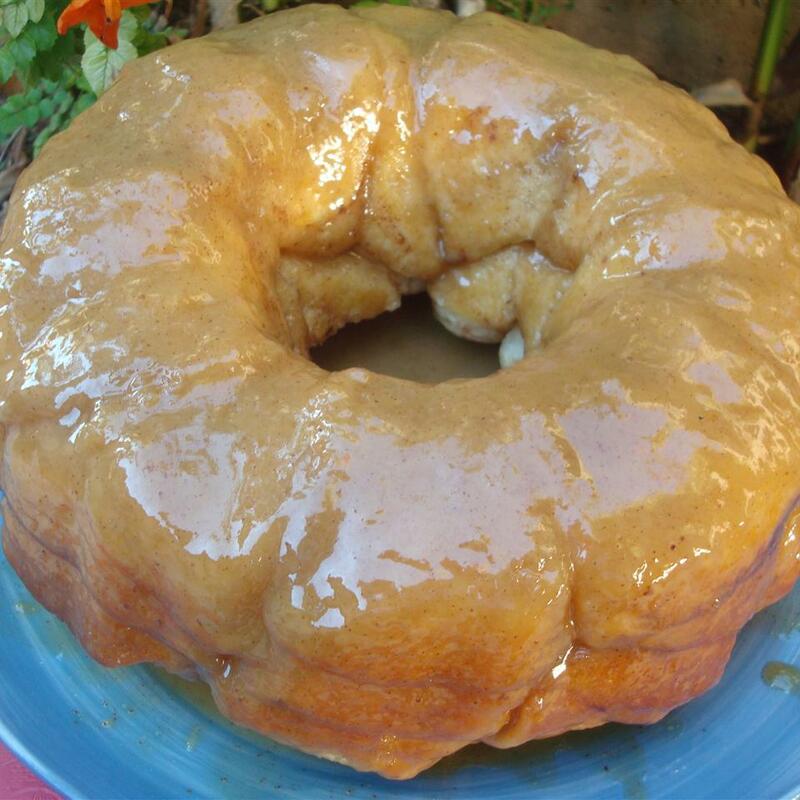 Lightly grease 2 round cake pans with butter. Roll bread dough out to an 6x18-inch rectangle. Brush with melted butter. 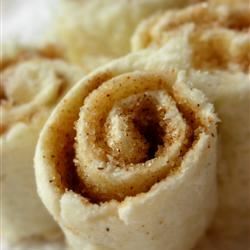 Combine brown sugar, walnuts, and cinnamon in a small bowl; sprinkle over butter. Roll dough into a log, starting at the long edge. Moisten edge with water and seal. 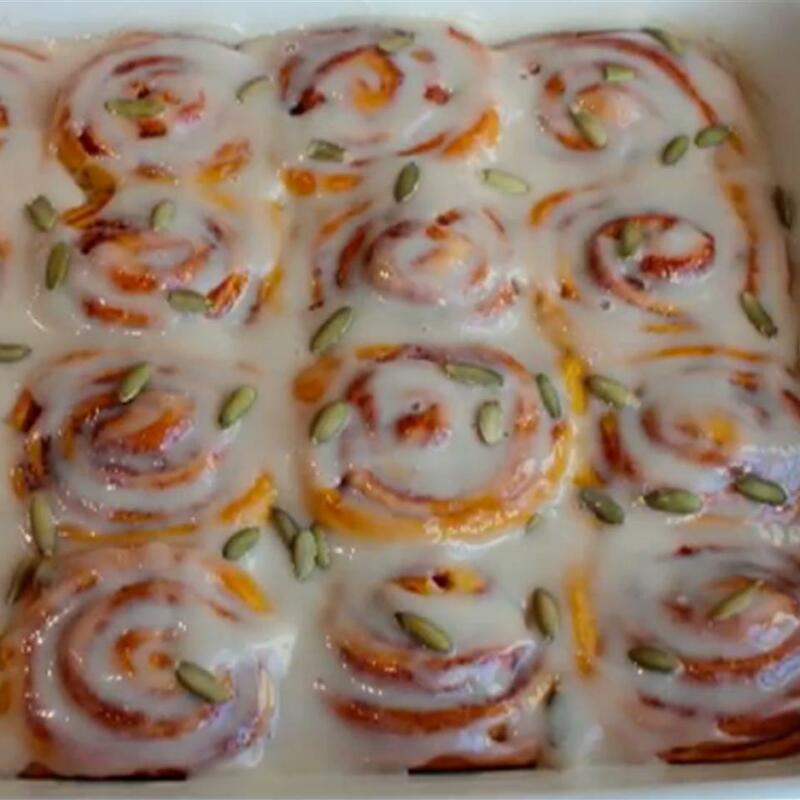 Cut log into 20 slices; arrange rolls, cut sides down, in prepared cake pans. Cover with a towel and let rise in a warm place until doubled in volume, about 90 minutes. Preheat oven to 350 degrees F (175 degrees C). 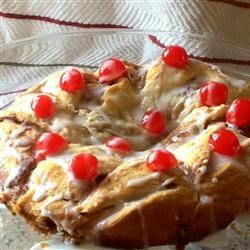 Pour heavy cream over dough. Bake in preheated oven until golden brown, about 25 minutes. 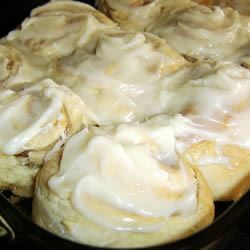 Mix confectioners' sugar, milk, and vanilla extract in a small bowl; drizzle over warm cinnamon rolls to serve. 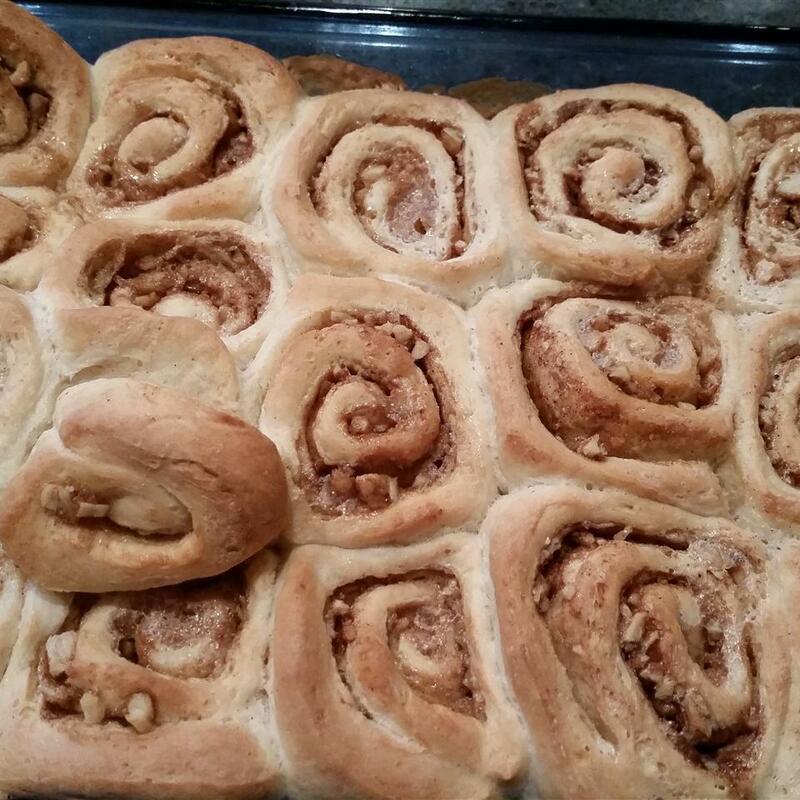 I wanted the bread to hold onto the sugar and nuts and cinnamon, so I used the extra butter. Mine don't hold together very well, so I just make sure that the edges are all next to the pan or each other. I usually add extra nuts and cinnamon because my husband likes them. 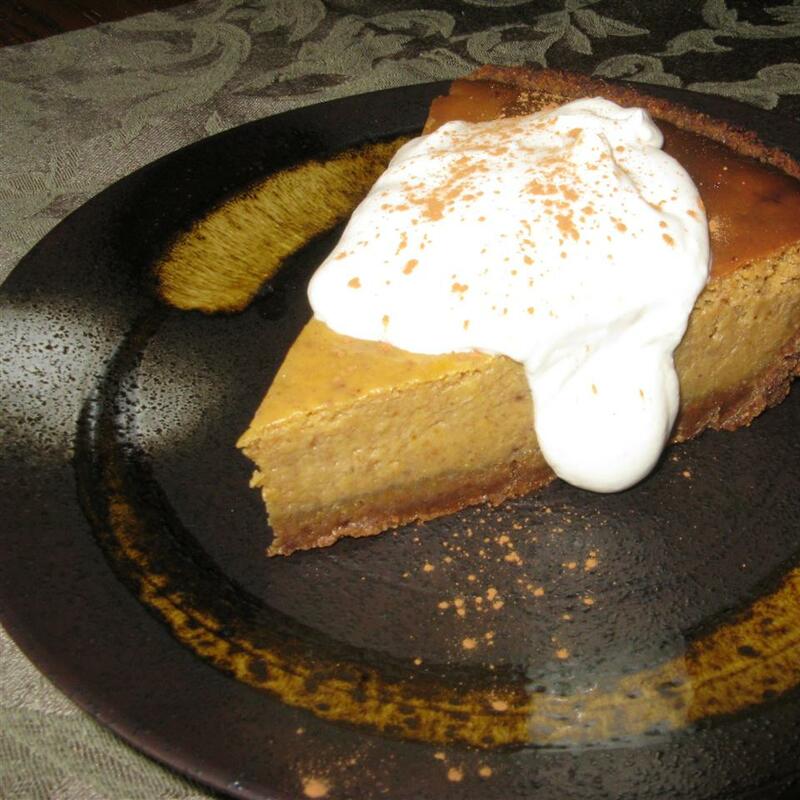 Quick and very easy to make last Minuit with lots of taste. Will make these again. Only thing I did was made extra icing since my family likes them smothered with it. 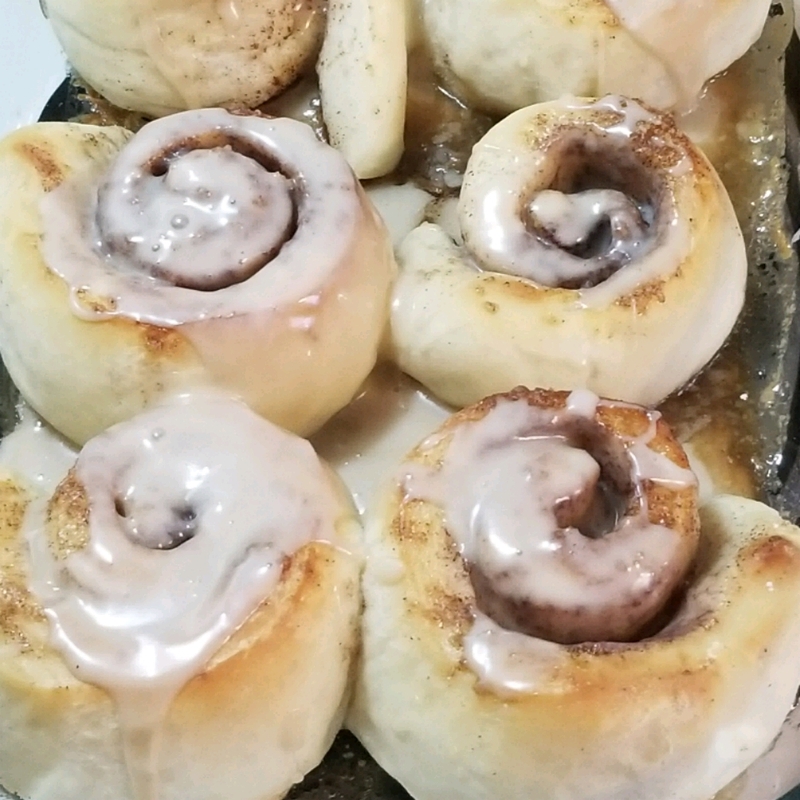 My first time making Cinnamon Rolls. 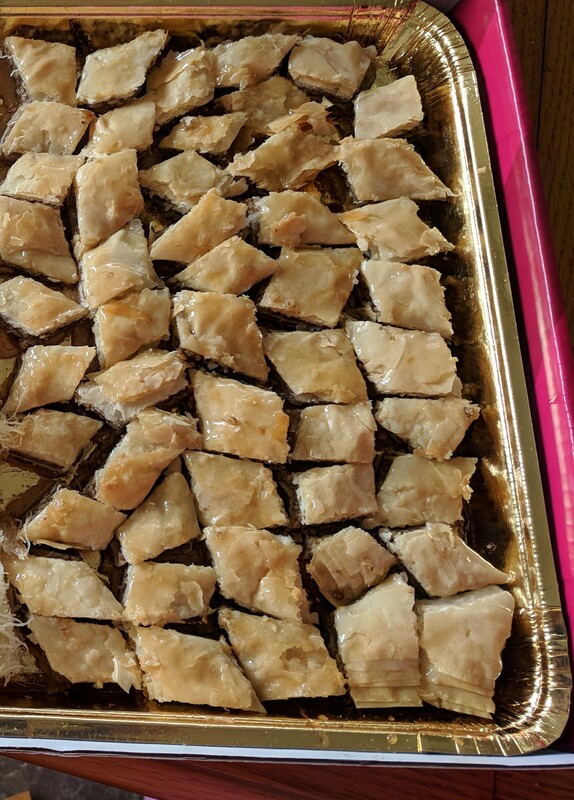 I used a little more walnuts and made only half the icing; turned out perfect! Will definitely be making these again. 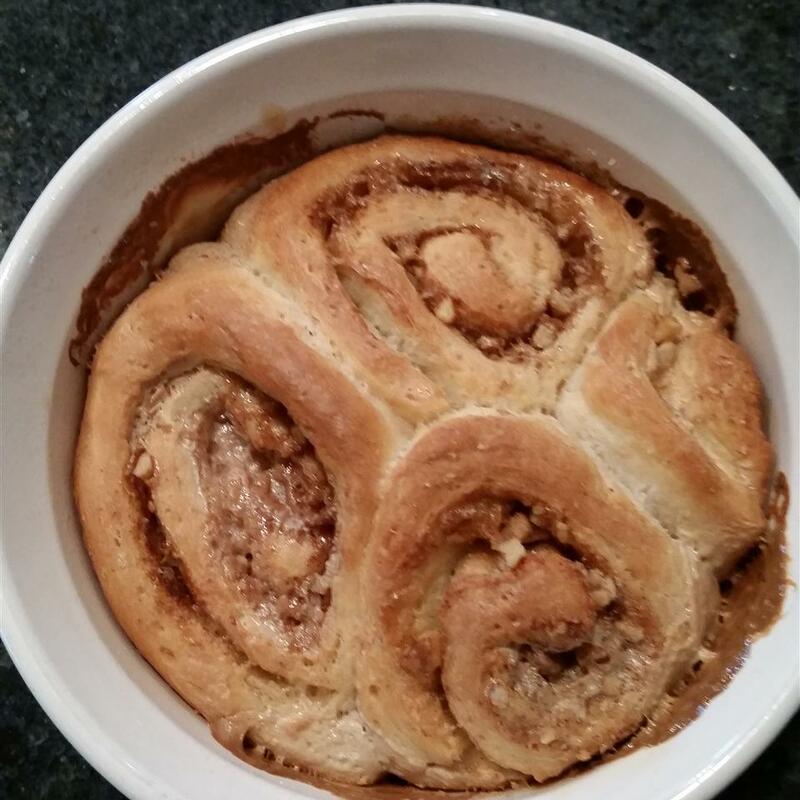 Thanks Chris Martin for sharing an easy tasty treat for our Christmas morning. It has become a tradition at our house for Christmas Easter and Thanksgiving breakfast. My Grandson Loves these. I use dental floss to cut the dough rolls and found that they are even better if they are not well done. Enjoy. 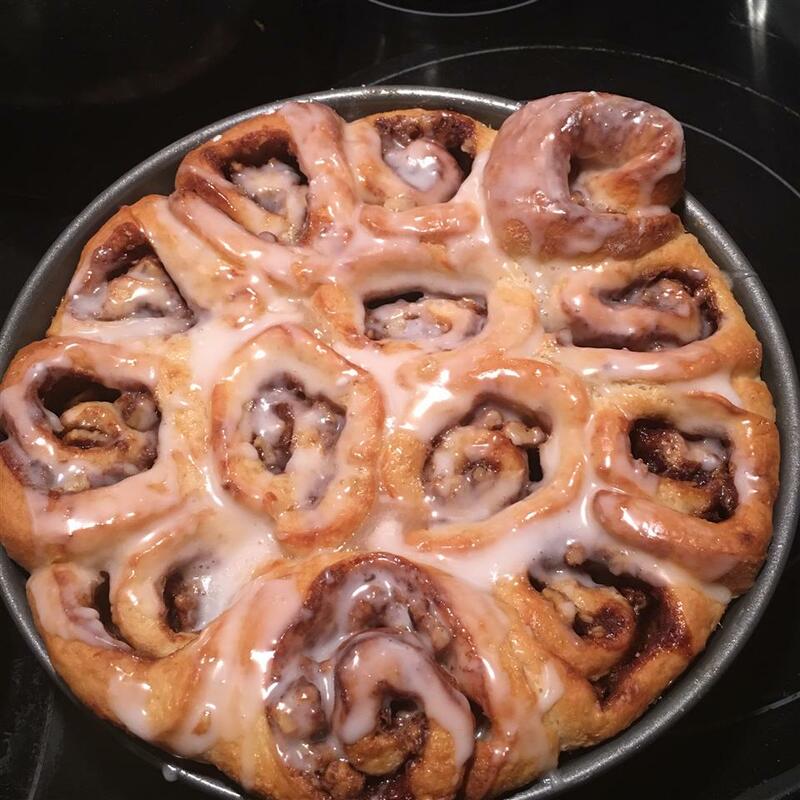 This was my 1st time making cinnamon rolls. I Only did so because the bread recipe I was making from this site said it made 3 loafs (Grandma VanDoren&apos;s) and it is just DH & myself. WOW!!! In the beginning I THOUGHT I had everything but way too late realized I did not have cream...so...I mixed some liquid French Vanilla coffee creamer with some 1/2 & 1/2 (and still added the vanilla extract) up at the last minute. Hey what can I say? They were freaking awesome! On a personal note just for myself I won&apos;t worry about nuts next time... even though I loved this with them... it is still an extra expense that could be left out without compromising the flavor. AND even though I thought pouring the creamy mixture over them before baking sounded strange it was spot on!! 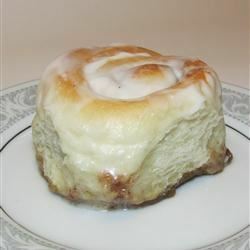 I will try making another cinnamon roll recipe on this site but have a feeling nothing could be as good as this one. I feel as if I have to try baking another one just so I know for certain that this is THE ONE to use. I will of course post an update later. 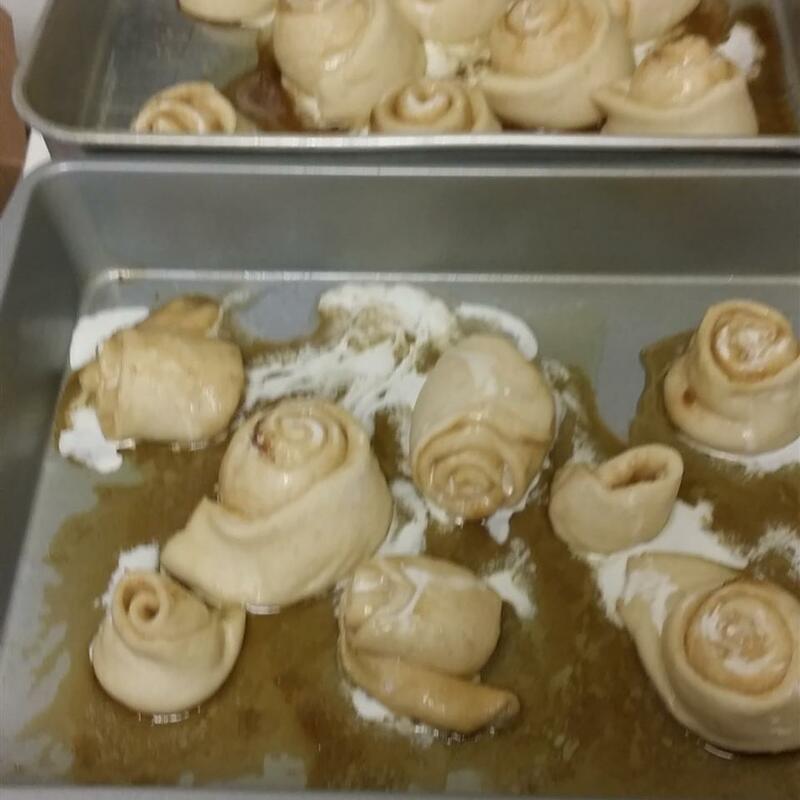 That being said I won&apos;t use baking bread as an excuse to try my hand at cinnamon rolls ever again. SO 4.75 Big gold stars from me! 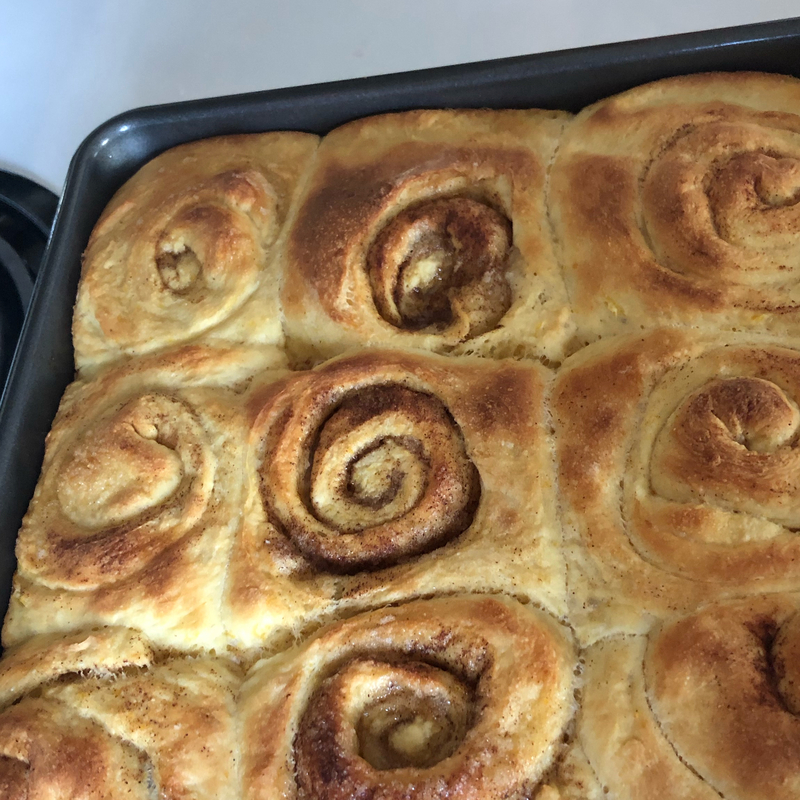 I like this recipe I&apos;ve made it twice now but my rolls haven&apos;t turned out big at all. They&apos;re quite small actually. Maybe they need to sit out much longer than 90mins. Aside from size they&apos;re still delicious!! 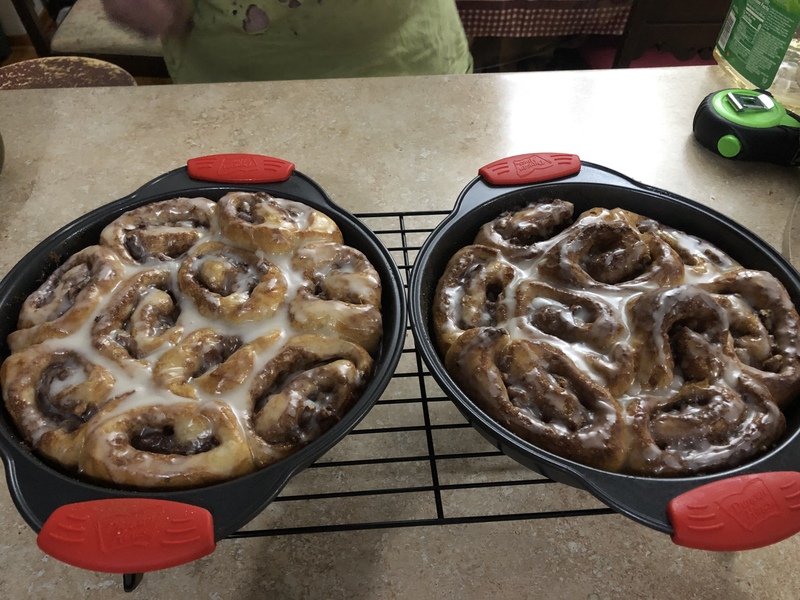 This the easiest and most delicious recipe for cinnamon rolls that I have ever found in my 50 years of baking and cooking. My only mistake was that one time I forgot to pour on the heavy cream before putting in the oven. I won&apos;t make that mistake again. The cream is the ticket to the caramel coating. 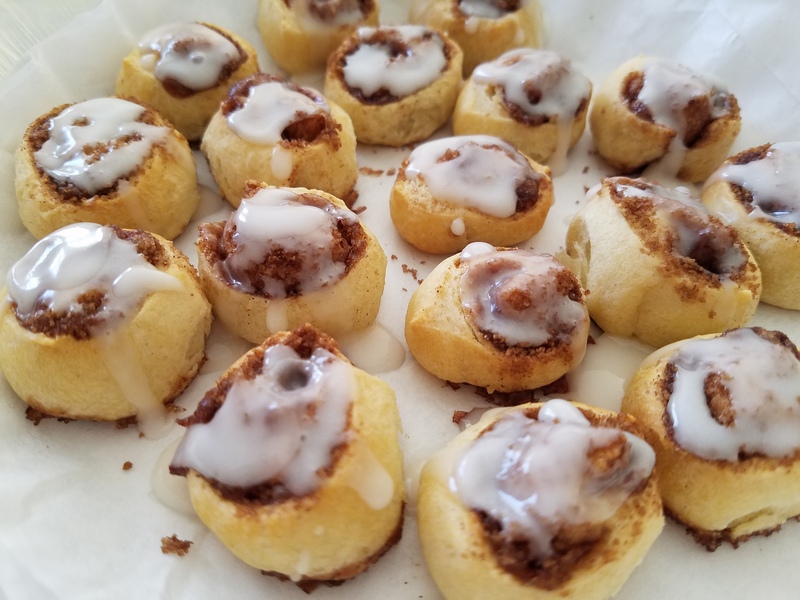 I also do not drizzle the rolls with frosting. 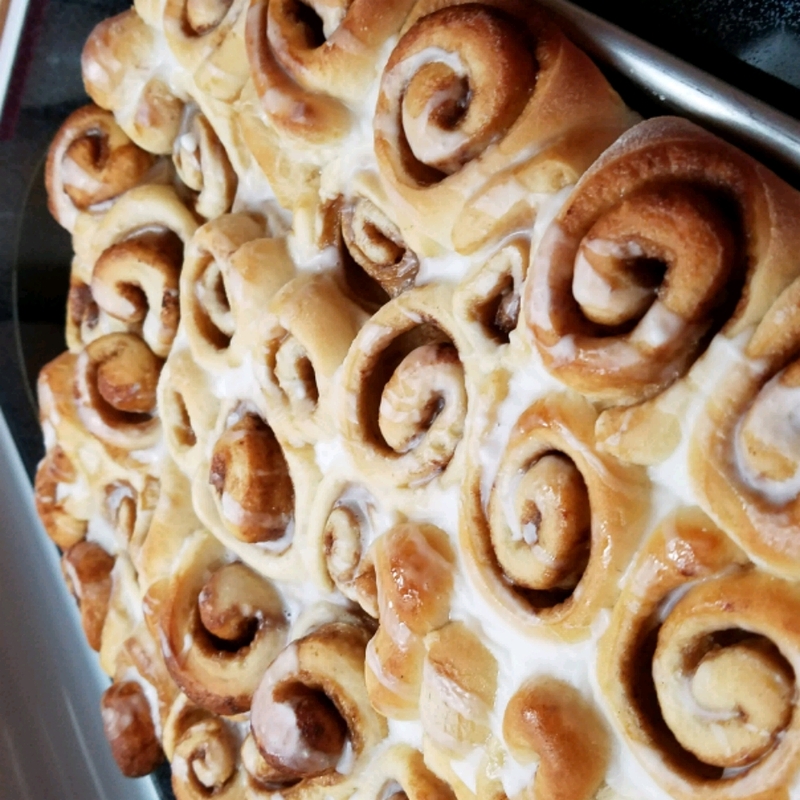 They are sweet and YUMMY just as they are out of the oven. YUM! Kids loved them and pretty easy. 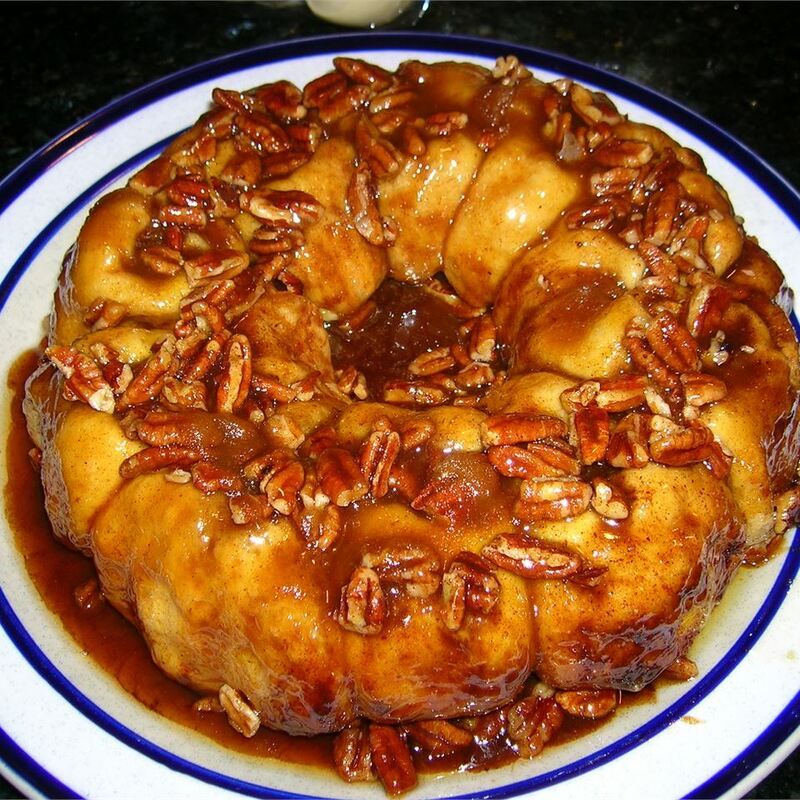 The only thing is the time to let the dough rise especially depending on the temperature in your home! A weekend recipe for sure! 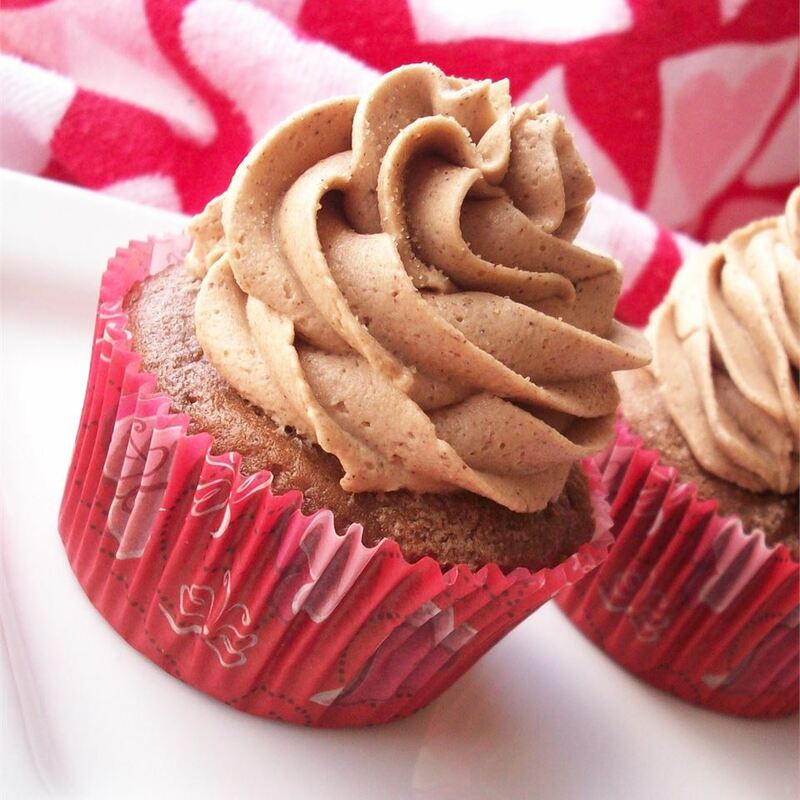 A friend had suggested using Rhodes whole wheat bread dough for a healthier twist. Great idea because they were delicious and you couldn&apos;t tell! So delicious. It was a bit more work than I anticipated but worth it. They didn&apos;t make it through the morning. Next time I will let them rise overnight in the fridge to save time. I LOVED IT!! But I did the frosting different (never made before) For one thing I don&apos;t measure. In a small bowl equal amounts added both sugars a dash of vanilla some cinnamon and added heavy whipping cream a little at a time till right consistency. It came out so good that I am making these things more than I need to.